Bob Thall is known for formally rigorous and deadpan portrayals of the urban and suburban landscape in Chicago, photographing in black and white and using a view camera. 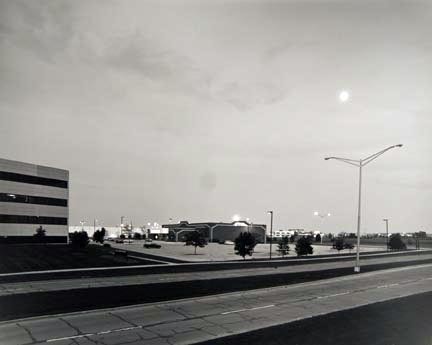 Chicago (Near O'Hare) is part of a series he produced in the 1990s focusing on the "edge cities" of Chicago — the quickly constructed suburban communities near O’Hare International Airport surrounding both Chicago and its older ring of suburbs on the northwest side. Capturing the sleek artificiality of these recent developments, the image conveys the power, pervasiveness and emptiness of suburban corporate architecture. 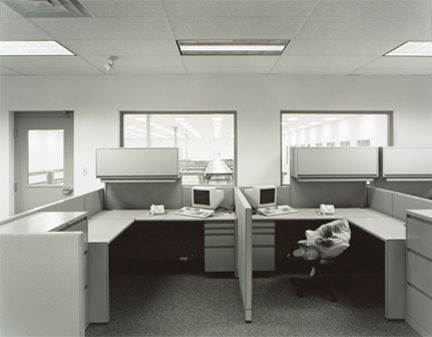 This work was featured in a solo exhibition at the Museum of Contemporary Photography in 1999 and published in the monograph The New American Village (The Johns Hopkins University Press, 1999). In the mid-1980s, Thall participated in the Changing Chicago Project, one of the largest documentary photography projects ever organized in an American city. The project was sponsored by the Focus/Infinity Fund of Chicago, founded by photographer and philanthropist Jack Jaffe, and launched in honor of the fiftieth anniversary of the Farm Security Administration documentary project. Thirty-three photographers of various styles were employed to create a multifaceted record of the city's diverse urban and suburban neighborhoods and inhabitants, culminating in concurrent exhibitions across Chicago’s major museums and a book entitled Changing Chicago: A Photodocumentary (University of Illinois Press, 1989). 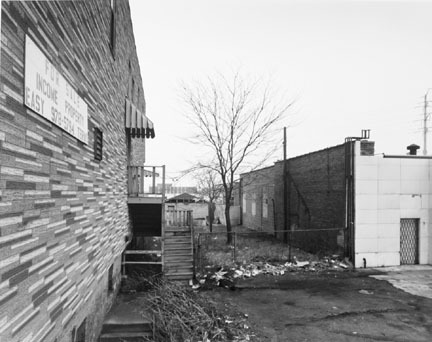 Many of Thall’s photographs documenting infrastructure and architecure on the south side of Chicago are in the permanent collection of the Museum of Contemporary Photography and formed part of the Changing Chicago Project. Bob Thall was born in Chicago in 1948. He completed a BA and MFA in photography from the University of Illinois at Chicago. 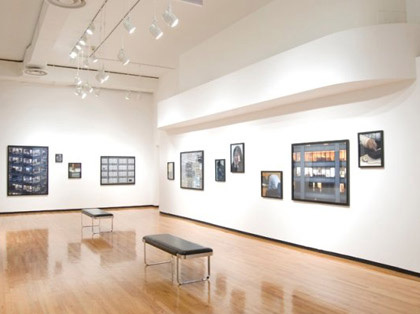 He has been on faculty at Columbia College Chicago since 1976 and is currently chair of the photography department. Thall is a recipient of a John F. Simon Guggenheim Memorial Foundation Fellowship (1998). His work is held in many collections, including the Bibliothèque Nationale, Paris; Canadian Centre for Architecture, Montreal; J. Paul Getty Center for the History of Art and the Humanities, Los Angeles; Library of Congress, Washington, DC; Museum of Modern Art, New York; and The Victoria and Albert Museum, London. In addition to The New American Village, monographs include The Perfect City (The Johns Hopkins University Press, 1994), City Spaces: Photographs of Chicago Alleys (Center for American Places, 2002), and At City's Edge: Photographs of Chicago's Lakefront (Center for American Places, 2005).